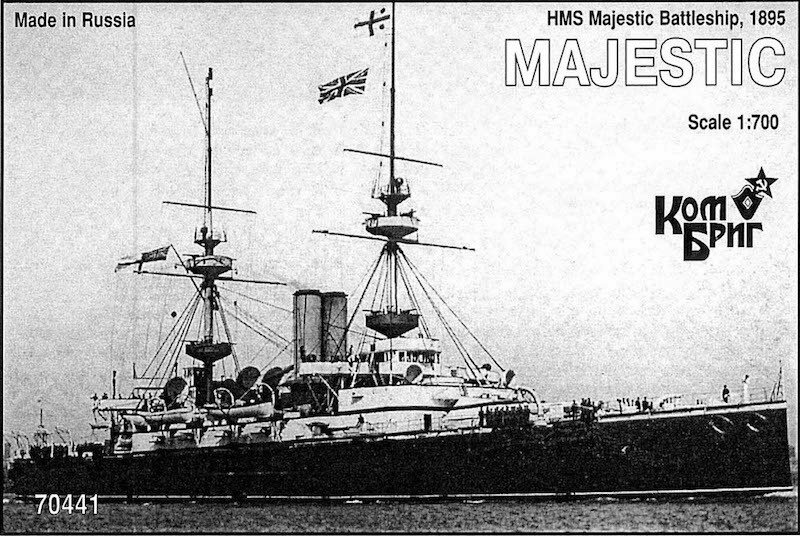 Majestic served in the Channel Fleet and Atlantic Fleet 1895-1907, then in the Home Fleet 1907-1914. Her early World War I service was in the Channel Fleet August-November 1914, as a guard ship on the British coast November-December 1914, and in the Dover Patrol December 1914-February 1915; during the latter service she bombarded German positions in Belgium. She served in the Dardanelles Campaign February-May 1915, seeing much service in action against Ottoman Turkish forts and shore batteries before being sunk on 27 May 1915 by the German submarine U-21 while stationed off Cape Helles with the loss of 40 of her crew.